We are highly backed up with modern transport facilities and thus delivery of all roasted gram product goes with ease. Selmax Exports Pvt. Ltd, is able to reach any destination in India and abroad. Our huge infrastructure and strong hold structure, have made us a well-known leader in the trade and market as a roasted gram supplier. Our large storage unit has given us an opportunity to make bulk quantity suppliers and allows us to easily load and unload heavy supply request. This really works wonders when purchasing custom bulk requirements for roasted gram supplier request and demand. We are a reputed trader and a manufacturer, when it comes exporting overseas and within the country. The roasted gram we provide is very popular all over India and are becoming a huge hit amongst overseas countries, this is because of the high yield of nourishment and low cholesterol benefits. 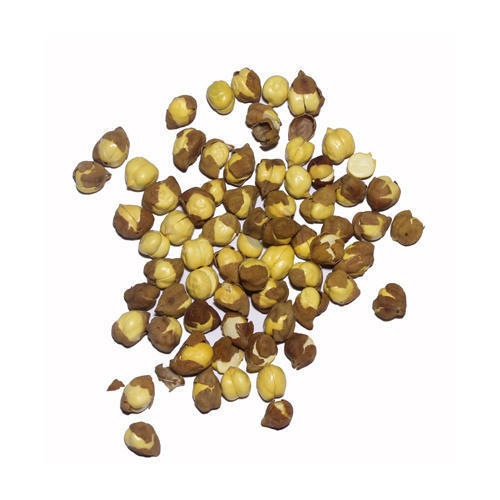 To retain the value of our products we make sure that the gram dal is packed with high food grade packing material. A customer interested in contacting a roasted gram supplier can contact us for bulk shipment. We at Selmax take pride in the claim that we are pioneers in the manufacturing industry for roasted gram. So you can use our product as substitute health food. Gram is also rich in minerals, fiber, and fatty acids. Roasted gram is always low in calories and large in Iron quantities. It contains vital essentials like Vitamin A, Vitamin B1, B2 & B3, Vitamin C, Vitamin D, Vitamin E and K. Unlike other roasted grams are preparation ensures or grams stay crispy and fresh. It can be used widely in weight loss cooking since it is low in fat. Our Company Selmax looks at many healthy benefit snacks and distributes and exports wholesale ratings at affordable market value pricing. We adopt the latest advancements and technology in packing and make sure they aren't affected by adulteration and impurities.